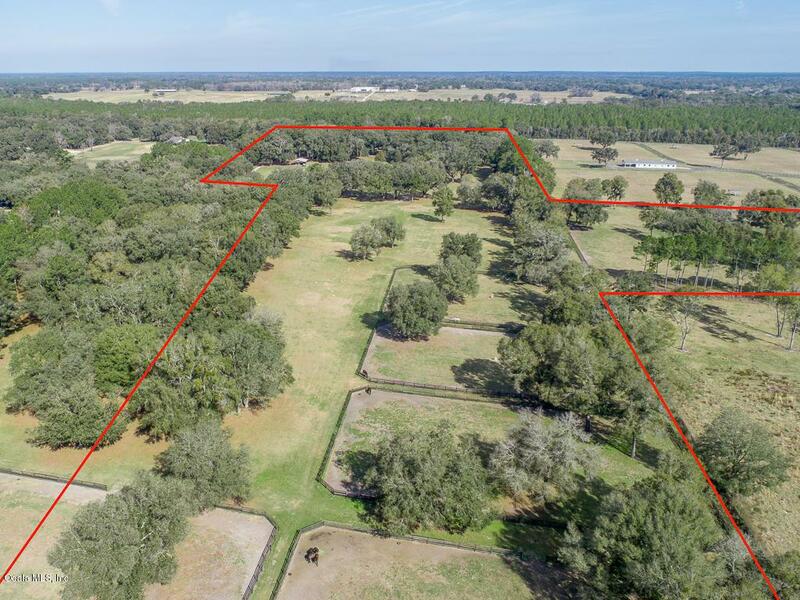 This gorgeous 44-acre property located in the heart of NW Marion County offers over 540' of paved road frontage in Ocala's Horse Country. 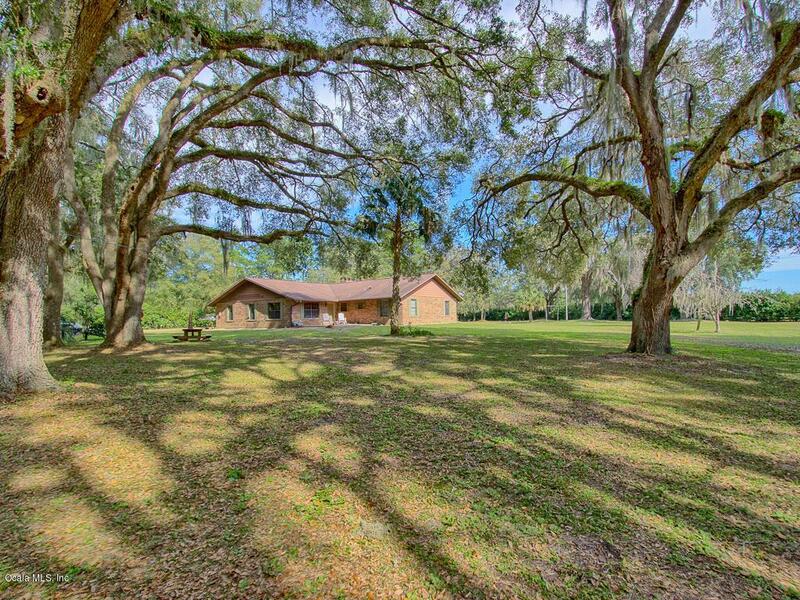 It has convenient access to major roads, but is also minutes to HITS and the new Golden Ocala World Equestrian Center. Property is nestled amongst other beautiful farms and features a charming 3BR/2BA duplex w/stone fireplace; great as primary or secondary residence, 22'x30' workshop and 24'x45' pole barn. 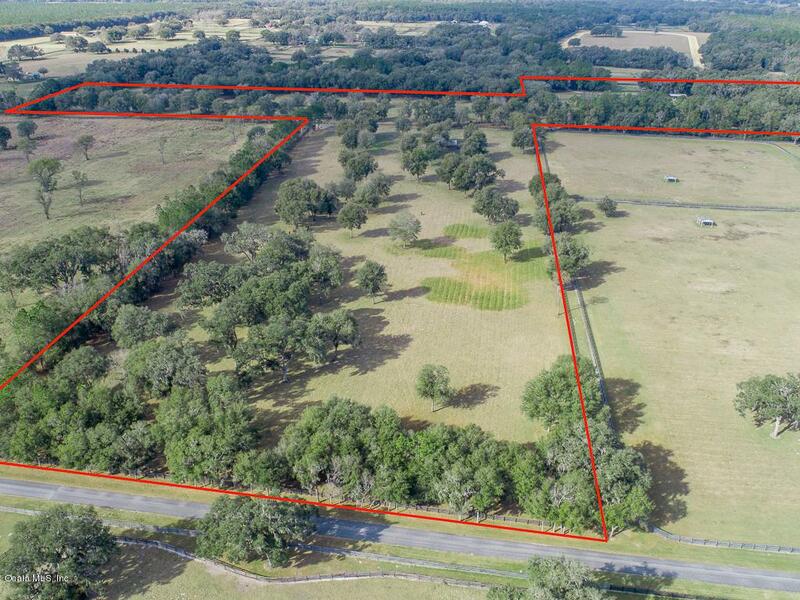 There is plenty of space to build main residence, barns and arena, and personalize to your Equestrian needs. 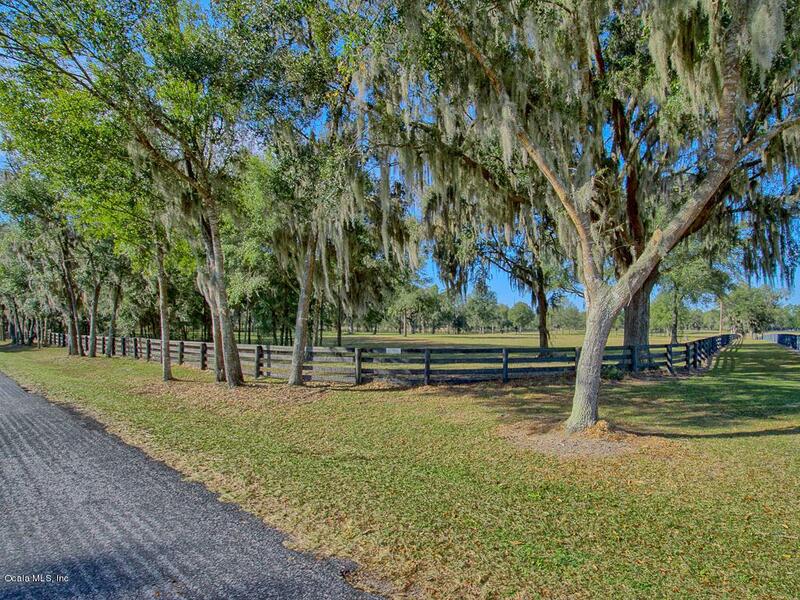 Property boasts large Granddaddy Oaks and lush pasture land with rich #8 soil, making it the perfect Horse-friendly property. This is a must see and would be a perfect fit for any equestrian discipline. Additional property available!